HotWax Commerce Connect for Magento is now available on Magento Connect, the official marketplace for Magento extensions. HotWax Commerce Connect for Magento unlocks ERP for Magento users. HotWax Commerce Connect for Magento is now available on Magento Connect, the official marketplace for Magento extensions. Earlier this year, HotWax Systems announced the worldwide release of HotWax Commerce Connect for Magento, an ERP plugin designed specifically to allow users of the Magento e-commerce Platform to easily access superior ERP management. HotWax Commerce Connect for Magento is now available on Magento Connect, the official Magento Extensions Marketplace. A central, easy to use order management system to create, edit, or cancel orders originating within Magneto or from other channels. ATP, QOH, and multiple locations, synced with the user’s Magento store. Create POs, receive and put away new inventory. Transfer between multiple locations. Criteria-driven pick list generation, split shipments, multiple carriers, barcode scanning, and more. Tracks RMAs through each step of the process, including initiation, receipt of the goods, replacement or refund. Analytical data and reports to inform smart business decisions. Please phone HotWax Systems at 888-850-2820 to initiate the download/setup process, or email us at info@hotwaxsystems.com, or download directly from the official Magento extensions marketplace. HotWax Systems is a Gartner 2015 Cool Vendor in Digital Commerce. Download the Gartner, Inc. “Cool Vendors in Digital Commerce, 2015” report here, compliments of HotWax Systems. HotWax Systems develops, implements and supports fully customizable, enterprise-class, digital commerce solutions. This year, HotWax Systems unveiled HotWax Commerce, an enterprise class, open source, digital commerce platform powered by Apache OFBiz. 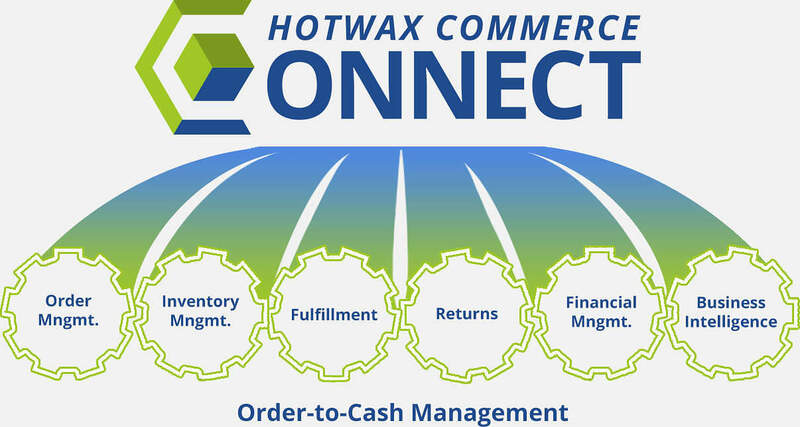 HotWax Commerce offers unmatched flexibility, complete control, and absolutely no licensing fees.